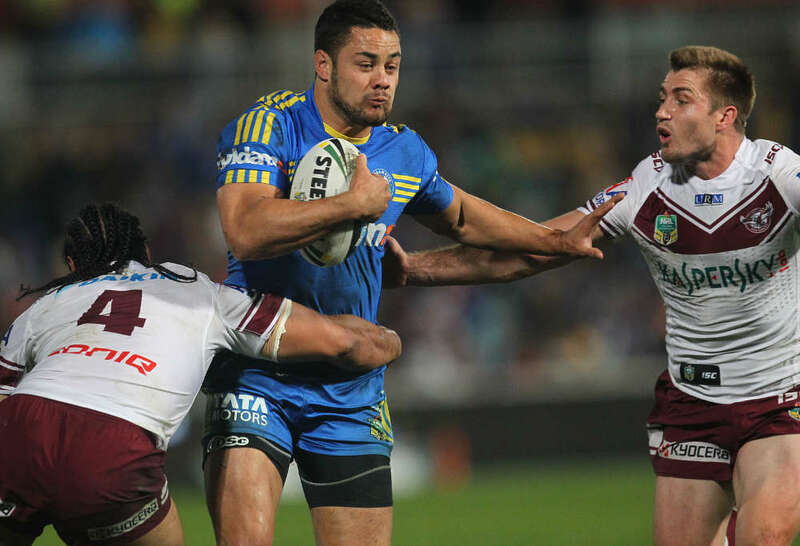 Jarryd Hayne is off to play at the Gold Coast Titans. (Photo by Colin Whelan copyright © nrlphotos.com). Before we do so I feel like a bit of context is needed as this is likely to be the most debated section of my ladder. I take no responsibility for any emotional distress experienced as a result of this article. So, firstly, last season was honestly a bit, well, soft overall. 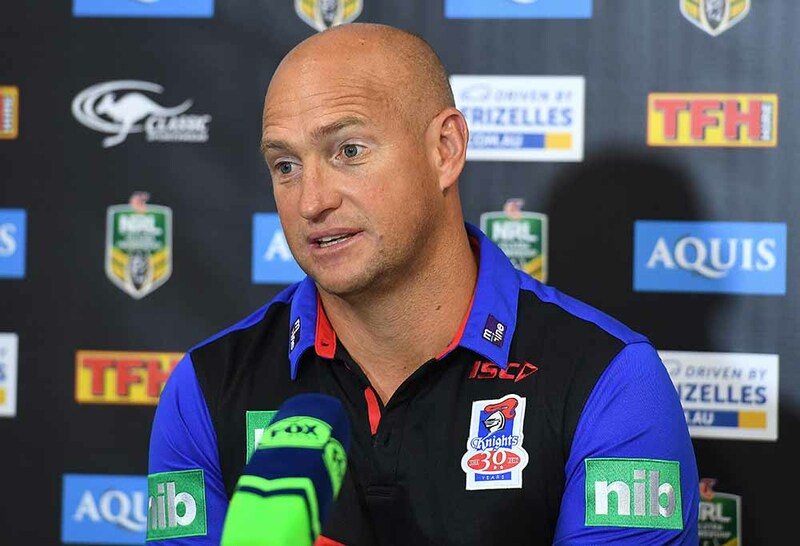 Clubs severely underachieving, injury crises, players falling out with coaches, coaches getting sacked, off-field dramas and the existence of the Knights all lead to more points being on offer than would normally be expected. This lead to more fortunate clubs getting their standing inflated and gaining a more comfortable ride into the finals then they would’ve in previous seasons. Even in the top four, the storm were the only team to ever really look consistently convincing at any point in the season. I expect this to have a significant effect on this year’s ladder. Teams that did well last season are in danger of underestimating what will be required to succeed in 2018 and may find themselves getting overtaken as teams that fared badly in 2017 look to make significant improvements. Secondly, with several new coaches I’m also banking on a fair bit of first year syndrome as teams embrace the freedom of being released from the shackles of stale game plans while it will take some time for their competitors clubs to pick apart the new structures. Last but not least, I don’t expect there to be too many points separating the teams in this bracket. Less ‘easy’ points on offer should lead to a more even distribution of said points, meaning that while teams may be several ladder positions apart, that may only represent a difference of one or two wins. Now that’s out of the way, lets jump right in – the mid table battleground! This Parramatta side, like many before it, are the epitome of a team that runs on confidence, as was perfectly demonstrated in their impressive finals charge last season. Unfortunately that confidence is going to take a few hits this year. Straight off the bat its hard to ignore the loss of Sami Radradra. In a team that sat mid-table in nearly every key statistical metric Semi’s involvement often proved the difference when it mattered most. He supplied around a quarter of the Eels tries and line breaks for the season and lead the team in both tackle busts and run metres. It won’t just be the points that Parra will miss, but the momentum he was able to generate to put the opposition on the back foot seemingly from nowhere. Radradra’s loss is also likely to require some shuffling of the back line, and in a team boasting five competing fullbacks it may take some time to settle on the best mix. They won’t have long though, while their opening draw is somewhat forgiving, it will get progressively more challenging as the season goes on. They can’t afford to squander their early chances with an unsettled line up. Further compounding Arthur’s selection headache is the as yet unsolved mystery of Jarryd Hayne’s best position and concern over how Clint Gutherson will rebound from a second ACL injury as he makes a late inclusion a few rounds in. Last years top-four finish may come back to haunt them as they face an up hill battle to meet their fans expectations and face much better prepared challengers. (Photo by Colin Whelan copyright © nrlphotos.com). Despite a few familiar faces, the 2016 Sharks this is not. Since popping their premiership cherry the boys from the Shire seem to have misplaced the experience in the crucial five eighth and hooking roles which steered the team away from constant monotonous hit ups and towards success. 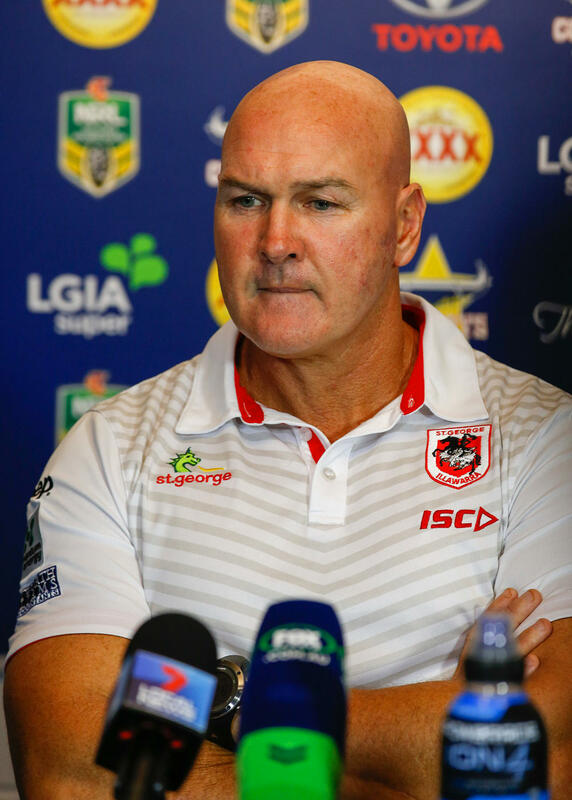 With this experience being replaced by a degree of youth, it begs the question of whether these replacements will have the character required to keep the ever zealous Paul Gallen in check. Boasting an imposing forward pack, the Sharks will have to resist the impulse to simply bash their way through opposition teams in a return to the bad old days. While Shane Flanagan has been able to attract some household names over the off-season, their losses still hurt and the feeling remains that the squad has been part of a drawn-out downgrade since hoisting the trophy, and management seem content to bask in recent glory rather then build toward another premiership push. They do enjoy a fairly even draw, however it’s not a draw that will allow them to build any easy momentum. They can expect a favourable origin draw but are also likely to draw heavy attention from state selectors, minimising any benefit they may receive there. With a tough final stretch limiting their ability to distinguish themselves from the pack I have them just missing out on a finals berth, a consequence of not doing enough to keep up with the rest of the competition through the off-season. After coming painfully close to a finals berth last year, it looks like they may suffer a similar fate yet again. Despite some notable acquisitions since 2017, equally notable concerns are still waiting to be addressed. To illustrate, take a glance at their statistics for the year – in attack they lead the comp in metres per game, offloads and tackle busts (though they also lead in one out hit ups) while placing in the top five teams for points per game, tries per game, line breaks, forced drop-outs, kicks and kick metres. Their discipline also impresses, being responsible for the fewest missed tackles, conceding the fewest penalties (while still receiving them at a healthy rate) and placing equal second for completion rates. Clearly Paul McGregor runs a tight ship and is well across the fundamentals of the game. This is the likely explanation for his record of early season success, where quickly gaining consistency and cohesion is key. However, there’s a significant drop off in results after the mid point of the season once the league collectively settles and bridges the gap created by St George’s head start. This highlights some of the limitations of McGregor’s coaching skill set. While he excels at the team-focused facets of his role (ensuring high standards in performance, cohesion, consistency etc.) vital in the early season, he doesn’t seem to display the same aptitude in the opposition focused aspects (tactical analysis of upcoming opponents, adjusting of game plans as needed, the all important mind games and the ability to build towards finals without peaking too early). These all come to the fore in the back half of the season where that little bit extra is needed to get over the line. Now, this issue could be alleviated somewhat with the inclusion of a player capable of carrying the team across the line. James Graham, fantastic player that he is, is no strike weapon and it remains to be seen what he will bring to an already sound forward pack. Ben Hunt, well, I sincerely hope Dragons supporters aren’t pinning their hopes on him turning things around. Hunt is certainly a capable half-back, but his greatest strength at the Broncos was his ability to combine with and utilise the other strike weapons available, multiplying the team’s offensive power rather then solely adding to it, a luxury he won’t be afforded at St George. His confidence issues may resurface if he fails to reach the high expectations set by fans thanks to his supposedly high price tag. Draw wise, an early tough run is likely to be offset by the ability to quickly get into the flow of things. Their Origin draw is neither overly favourable or difficult and an comparatively easy final run may be constrained by their coach’s limitations. Overall I fully expect the Dragons to be in contention in the final rounds, but without that knock-out punch I feel that may be miss out in a photo finish. Alright, so, as this article is already much longer then I anticipated, I’m going to split this bracket up into two parts. Feel free to air your grievances below and stay tuned for part 3!